Honeybees are an incredibly important part of our ecosystem, but unfortunately, when they feel threatened, they tend to provide a less-than-pleasant surprise. 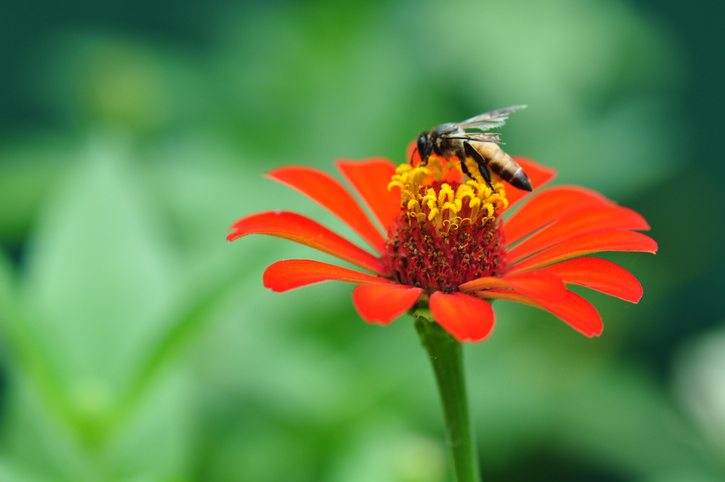 When stung by a bee, here are the steps you can take to reduce pain and inflammation, according to Thomas Arnold, MD, Professor and Chairman, Department of Emergency Medicine, LSU Health Sciences Center Shreveport. Remove the stinger with a dull-edged object. Unlike wasps and other kinds of bees, honeybees have a barbed stinger that stays in the skin after a sting, ultimately killing the bee. Remove the stinger and venom sack with a blunt object like the edge of a credit card or a butter knife by gently scraping against the skin. Apply a cool compress. Ice or another cool compress can reduce pain, while an antihistamine can help ease itching and swelling. Elevate the area. The swelling caused by a sting can be quite scary. It’s not uncommon for a hand that’s stung to swell to twice its size. If the sting is on an extremity that can be raised, elevating it can help reduce swelling. Some individuals may be allergic to bees, and in that case, their reactions will be more severe—and in some cases, deadly. If any of these symptoms occur, call an ambulance to take the individual to a hospital immediately.